SALT LAKE CITY, Utah (December 14th, 2017) – Today, the Salt Lake Chamber unveiled its new campaign calling for the modernization of Utah’s tax code. The Chamber believes modernizing Utah’s tax code is the most critical issue facing the Legislature and must be addressed this session. Why? Because Utah’s economy has changed. Over the past several decades, Utah’s sales tax base has been eroded due to changing purchasing patterns, the digitization of goods, legislated exemptions and remote sales. And yet, Utah hasn’t undergone comprehensive tax reform in decades. As one of the fastest-growing states and innovative economies in the country, Utah needs a modern tax code to ensure we have the resources required to meet our future needs. The campaign will seek to make this issue extremely visible with the public and help people understand the need to modernize our tax code, and encourage the legislature to take action this coming session. 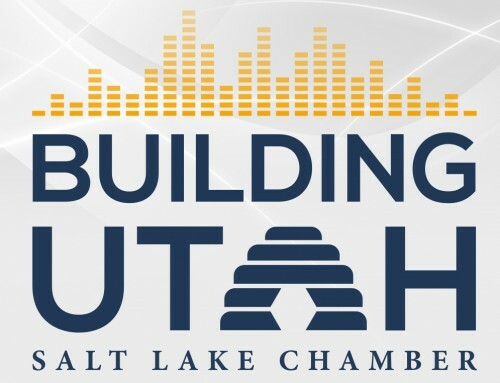 As Utah’s business leader, the Salt Lake Chamber supports tax policies that strengthen Utah’s economy and properly balances tax simplicity, revenue sufficiency and fairness. The Chamber is pleased to see tax modernization as a key element of Governor Gary Herbert’s Utah Life Elevated 2020 budget recommendations for 2018, as well as the efforts of the Utah legislature to study this issue in depth over the past year. The Governor’s leadership on this framework for broad economic development is necessary and encouraging, and we hope it will help bolster those legislators who have the appetite to handle this important issue this next legislative session. After years of study, a rapidly changing economy, a robustly growing state, and shrinking flexibility to make the investments needed to keep up, it’s time to act!